Tucson Daily Photo ~: More clues for "Where is this?" Yesterday's two guesses were good ones..... but not good enough to win a "fabulous" TDP t-shirt prize! Some additional hints: This fine fellow stands guard on the east side - east of Swan, west of Pantano, south of Broadway, north of 22nd Street. Think..... popcorn! OK - for those of you who regularly visit the site you know what this means! 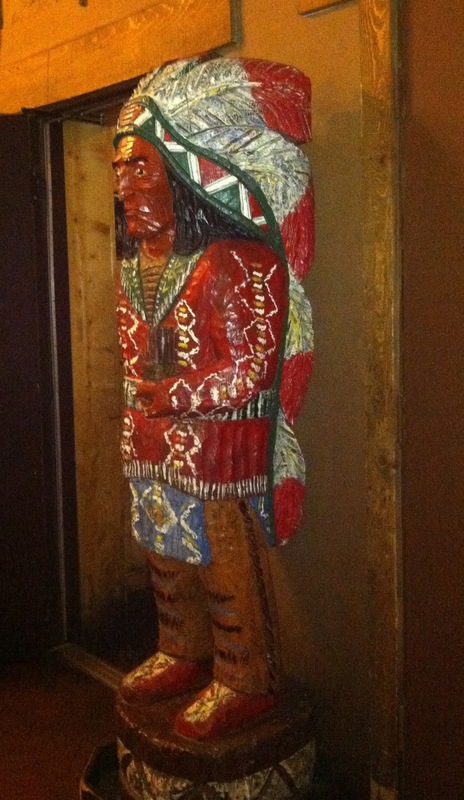 The first person to identify where this Indian is located wins a "fabulous" TDP t-shirt or mousepad! Tucson was, after all, the Wild West, so it's no surprise to see a cigar store Indian. But WHERE is he, that's the question! Good luck! I think I've got it - is it in front of or inside the Diamondback Gun store?